Coming off of a tough loss from week 1, the El Camino Eagles were once again on the road, this time visiting Bella Vista High School. The Eagles came out strong scoring 27 points in the first half. Fresh after half time, Bella Vista was able to get 6 on the board, only to be met by 21 from the Eagles. The El Cmaino Eagles traveled to Roseville for their first game of the season against Oakmont High School. In past years the Eagles have faced Oakmont for their first preseason game. While this year's game wasn't a conference game, it was a part of the official season. 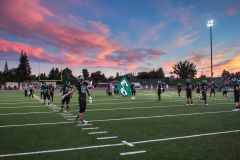 Unfortunately, some of the El Camino players didn't get the memo, with 5 fumbles and 2 interceptions the Eagle offense struggled to complete several series. First week jitters aside, the Eagles did fairly well, coming within only five points of the Vikings as the fourth quarter came to a close. Remove the 90 penalty yards from false starts & excess testosterone, and the Eagles probably would have started the season off with a win. 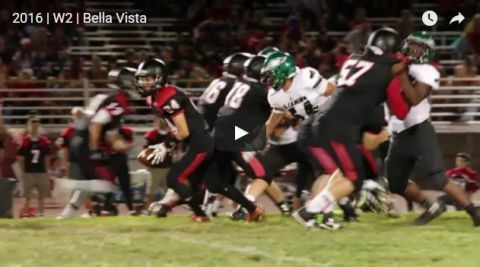 Next week the Eagles atravel to Bella Vista High School where they will face the Broncos. After working closely with Jami DeBernard and Fit Body Fusion for the past few years, I was excited to have the opportunity to produce a energetic promotional video for them. A tough bout for the Eagles which lost in the last seconds of the game due to a bad call by the refs. The last game of the 2014 season; El Camino 71, Mira Loma 00. It was also Senior night where parents of the participating athletes gathered on the field before the audience. El Camino High School vs Casa Robles.